One of WBZ-TV’s first female anchors, Shelby Scott distinguished herself as a dedicated, tough and resourceful news reporter over a memorable 30-year career. She is best remembered for regularly reporting while standing outside during a raging storm. Shelby Scott never expected to be known for her storm coverage, but Boston television fans will never forget how every time there was a snowstorm or hurricane, Shelby would be standing at the seawall in Scituate looking like she was about to be swept away toward Minot Light. She first came to WBZ-TV in 1965, after first working in radio in Seattle. Among her first news stories was covering the “Great Northeast Blackout” on November 9, 1965. She was teamed with Jack Chase on the news at noon, and then, in 1976, Shelby began co-anchoring the 5.30 pm newscast with Gail Harris; they were possibly the only all-female anchor team anywhere. 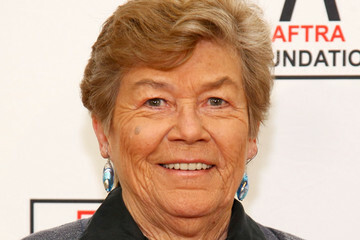 In the mid-80s, Shelby went back to reporting, and ultimately was elected the President of AFTRA, the American Federation of Television and Radio Artists, where she served four terms, then continued as Vice President.